TEHRAN March 7 (Shana) – Iran has no plans to lower the price of its natural gas supplies to Turkey, said the Executive Director of the Iranian National Gas Company, underlining Iran’s secure supply of natural gas to Ankara in spite of claims by the Turkish side. 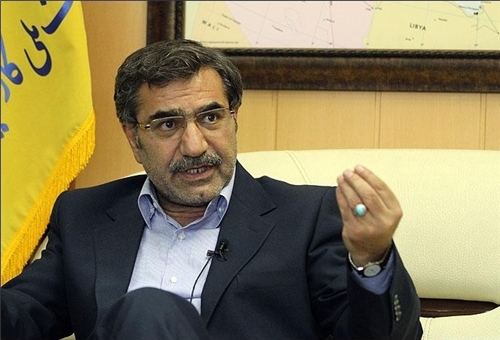 Iran strongly denies Turkey’s allegations about the insecure export of natural gas by Tehran, said Hamid Reza Araqi, saying that the prices Iran charges Turkey based on the current contracts will not be lowered under any circumstances. “Turkey claims that the price of supplied gas is too high and that Iran should lower the prices, however, Tehran has no plans to lower the price of its natural gas exports to Turkey under the current contracts,” he said. Turkey has asked for lowered gas prices by Iran provided that the former allows Iran to reach European gas market through Turkish soil which would need fresh contracts with new provisions and price agreements, added the senior Iranian gas official. He further voiced Iran’s preparedness to manifold its gas exports to Turkey given the opening of new phases of the gigantic South Pars Gas Field. Turkey has been buying Iranian natural gas since 1996. In March 2012, Turkey filed a lawsuit against Iran at the International Court of Arbitration suing Iran for charging high price for its natural gas export to Turkey. The trial is to last until late 2014, Turkish Minister of Energy and Natural Resources Taner Yildiz said on March 6. The prices for gas proposed by Iran are not convenient for Turkey and given the current tariffs, said the minister. The agreement on the annual supply of 10 billion cubic meters of gas from Iran to Turkey was signed in 1996. In 2013, the Turkish state pipeline company Botas imported 38.42 billion cubic meters of gas from various sources, as compared to 43.09 billion cubic meters in 2012.